LeasePlan has cancelled plans for an initial public offering “due to market conditions”. Last week saw the leasing firm announce its intention to launch an IPO and listing on Euronext Amsterdam and Euronext Brussels but there have been reports since then of a number of firms shelving IPO plans following a disappointing debut from luxury carmaker Aston Martin. 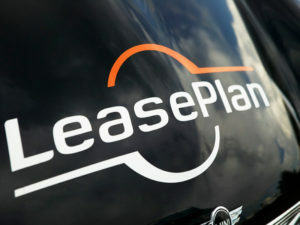 Currently, LeasePlan is a private, limited-liability company named LP Group NV. Prior to settlement of the IPO, it would have been converted into a public company with limited liability with a legal name of LeasePlan NV. The IPO would consist entirely of existing shares held by the company’s current sole shareholder, Lincoln Financing Holdings Pte Ltd, acting through its Dutch branch. This is controlled by a consortium of investors. Last week’s announcement came a year after the leasing giant said it was reviewing an IPO as part of a range of strategic options. The move would see it follow in the footsteps of ALD – which floated in June 2017, raising €1.2bn – some three years after Volkswagen and fleet management firm Fleet Investments completed the divestment of their 100% shareholding in LeasePlan to the consortium of long-term investors for €3.7bn.